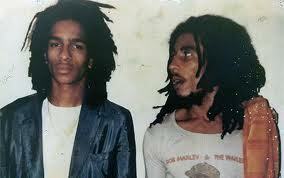 “Anybody’s who’s meant to get it, gets it, and those who don’t, they never will,” says Don Letts. The filmmaker and musician is talking about the ways in which the rhythms of Africa have a habit of turning up in popular music from around the globe, most noticeably these days in the work of Vampire Weekend and Animal Collective. But Letts could just as easily be commenting on his own career as a DJ, writer, and member of the Clash posse, or as an accidental pioneer of sampling as a member of Big Audio Dynamite, the Mick Jones-led Clash sequel. You might even say that without Letts’ point in the magic triangle, the resulting permanent alliance between the two major forms of rebel music might not have ever happened.